On the stroke of midnight, the first starting gun of the Rolex Giraglia 2018 will be fired, marking the start of the Sanremo-Saint Tropez race. Great excitement on the quays of the Sanremo Yacht Club before the miles that separate the two coastal cities. Skippers’ briefing at 6 PM, cocktails on the quayside and fireworks at 10:30 PM to salute the crews. 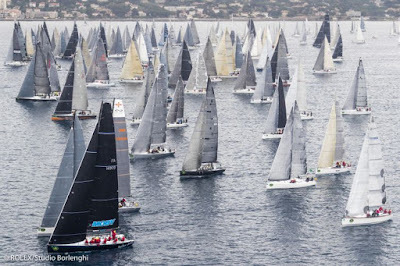 There will be 60 miles to cover to Saint Tropez, then will come the coastal races starting on Sunday 10th. There are 80 boats entered and the forecast is good: a moderate south-westerly breeze should take the fleet towards France at a fair rate of knots. Meanwhile in Saint Tropez the organising machine is going full steam ahead to prepare for the arrival of all the participants who are beginning to crowd the quaysides of this city in Provence. 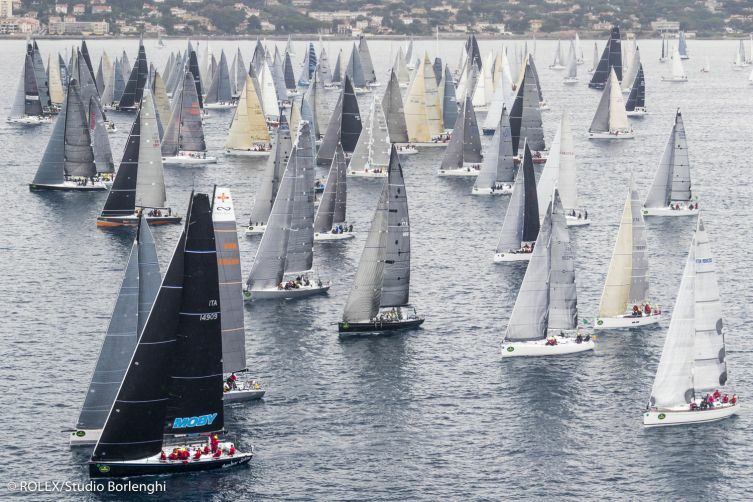 The jigsaw puzzle for mooring the entire fleet (236 yachts) that will take part in the Rolex Giraglia 2018 is proving tricky because of the growing number of maxi yachts with increasingly significant draughts and dimensions. The overall length of the yachts entered is about 3.4 km! The 2018 edition is particularly important also because it coincides with the 20th anniversary of the partnership between the Yacht Club Italiano and Rolex, a collaboration that has ensured the success of a regatta that since 1953 has innovated while maintaining its fascination intact. What began as a “deepwater cruise”, as it was known then, has become an iconic event. The regatta combines technique and poetry and over the years has established itself as a kind of “sailing finals”. Still today, for many sailing enthusiasts, “I’ve done it too” is an important medal pinned to the chest of every yachtsman. Over the years the number of entries has increased in inverse proportion to the time taken to sail the race. The fastest time was set by Igor Simcic’s yacht Esimit Europa 2, which in 2012 shattered the previous record with a time of 14 hours, 56 minutes and 16 seconds. But for the records will have to wait until the start of the long race on Wednesday. So, after the Sanremo - St. Tropez race, the appointment is in Saint Tropez for three days of intense and hard-fought coastal races, with the fleets split between two racecourses: windward/leeward off the beaches of Pampelonne (for the bigger boats in Group 0) and coastal races between the natural marks of the Gulf of Saint Tropez for their smaller sisters (Groups A and B).